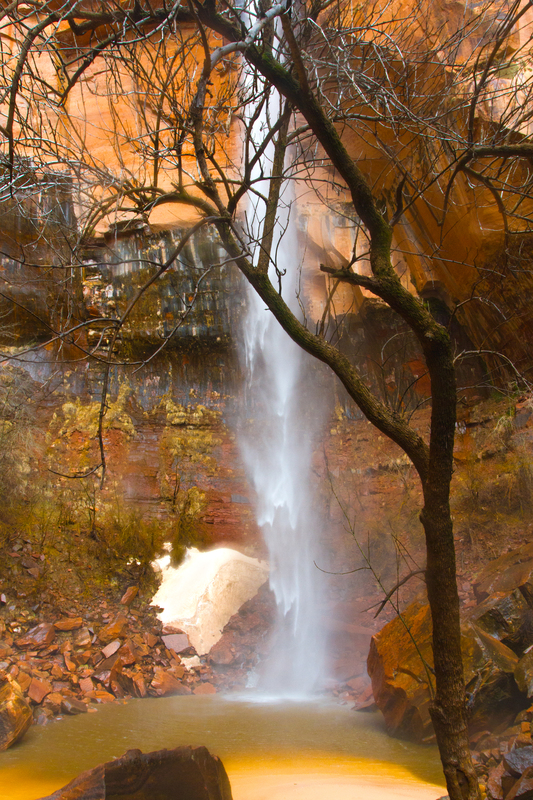 Here’s a little teaser from Zion. I will have to head back there and take more photos soon! This is from the Emerald Pools Hike that I decided to do on a whim. It was a mostly cloudy day and as a result not too hot for this hike. Nor was it too hot to leave my cat in the Jeep while I went! I was on my way from Phoenix to Seattle for a job assignment and had just stopped at Zion to take a peek. Once I was there, I realized it is way to pretty to just take a peek. So, cat food, litter box, and water were all set up inside the Jeep and after assuring Kitty would be comfortable, I set out through some of the most beautiful scenery I’ve ever had the privilege to witness.